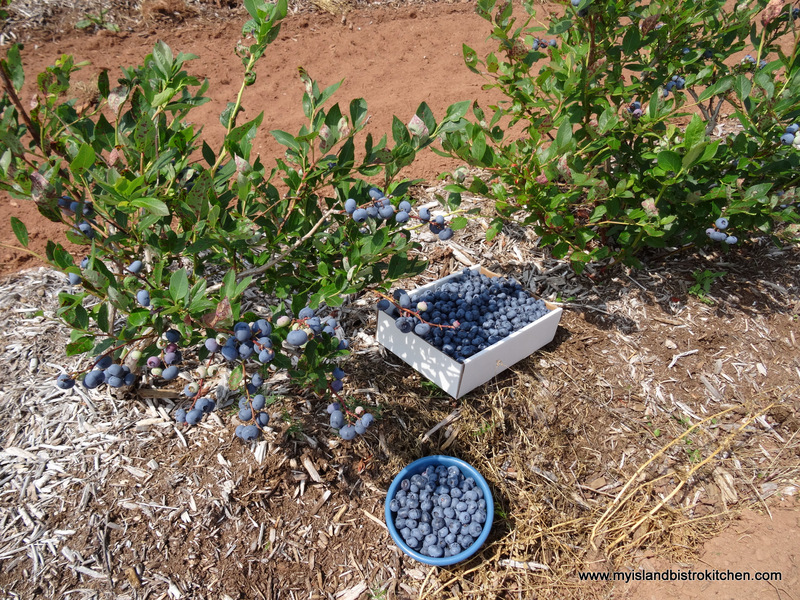 I recently discovered a high-bush blueberry U-pick in Tryon, PEI. 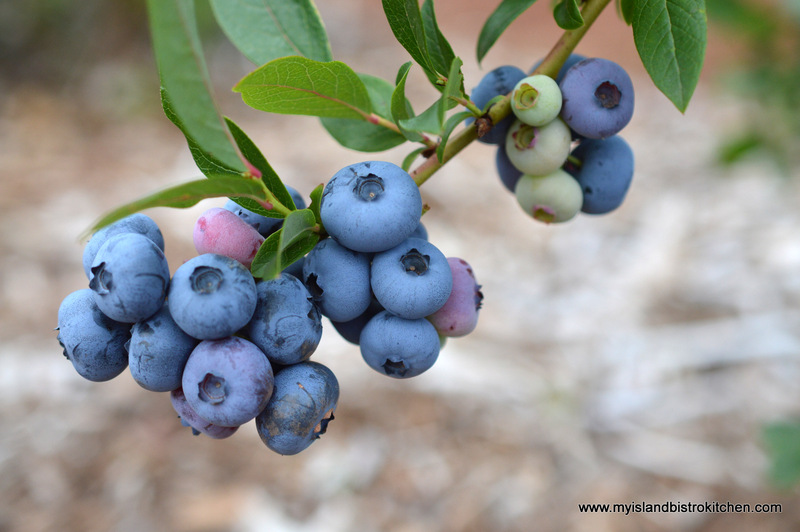 These are so easy to pick and the bushes were just laden with these huge plump blueberries. Grower, Jennifer Murray, says she has five varieties of these tasty blueberries growing in this field. Unlike their tiny wild blueberry counterparts that grow low to the ground, these are easy and clean picking – no blueberry-stained fingers. I have been back to their field twice since they opened just last week. 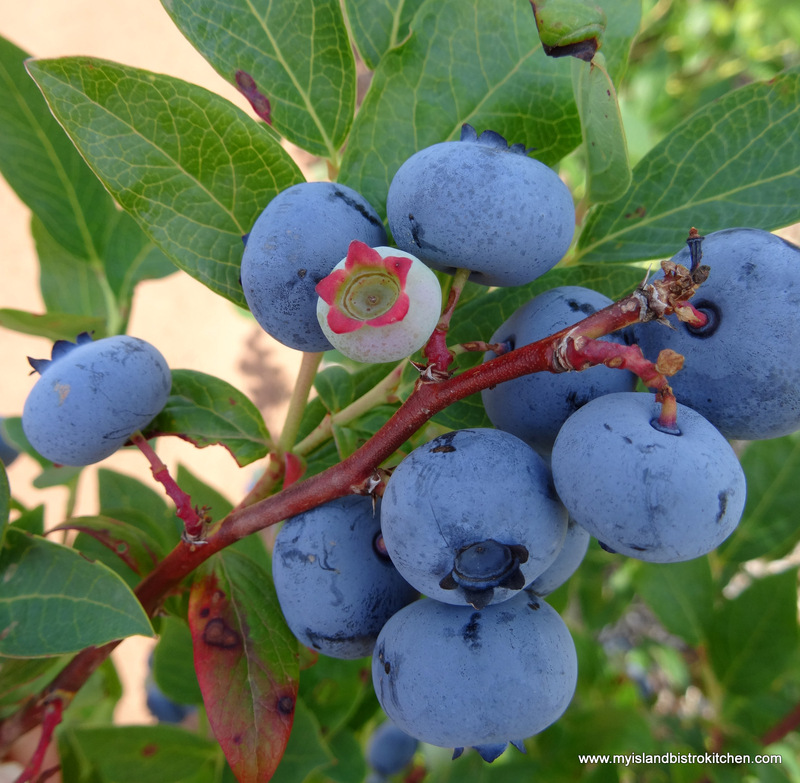 It took mere minutes for us to pick these blueberries! I love these berries in a bowl with sugar and milk, on top of cereal, waffles, and pancakes. They are lovely sweet berries. 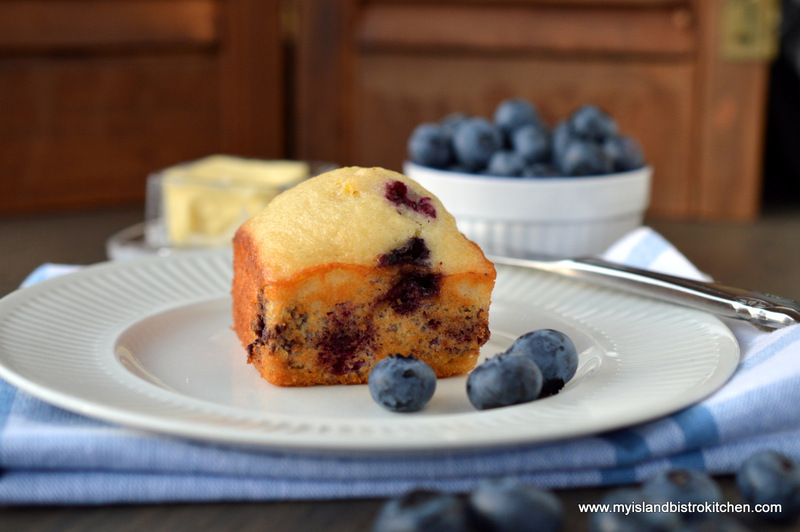 Today, I am featuring these blueberries in muffins. 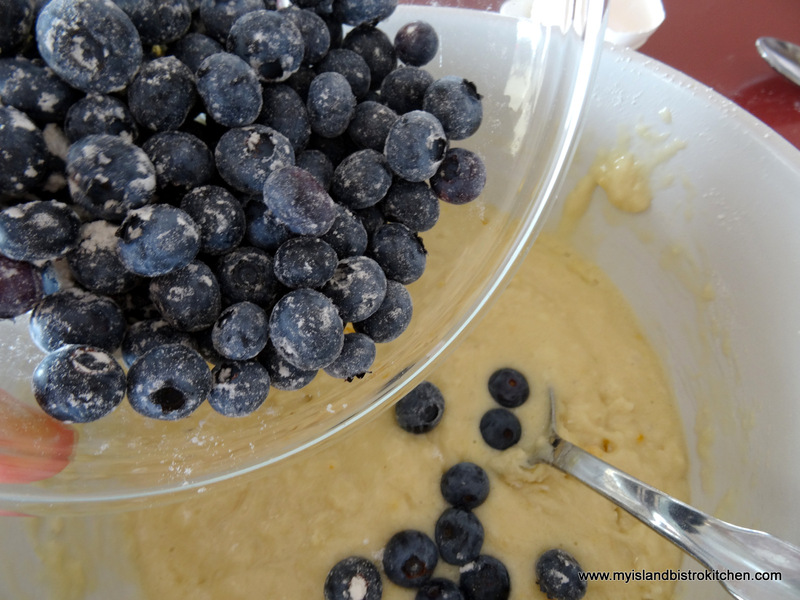 I have purposely chosen a light-colored batter that is cake-like in texture so that the blueberries really show up. I hope you enjoy them as much as I do! 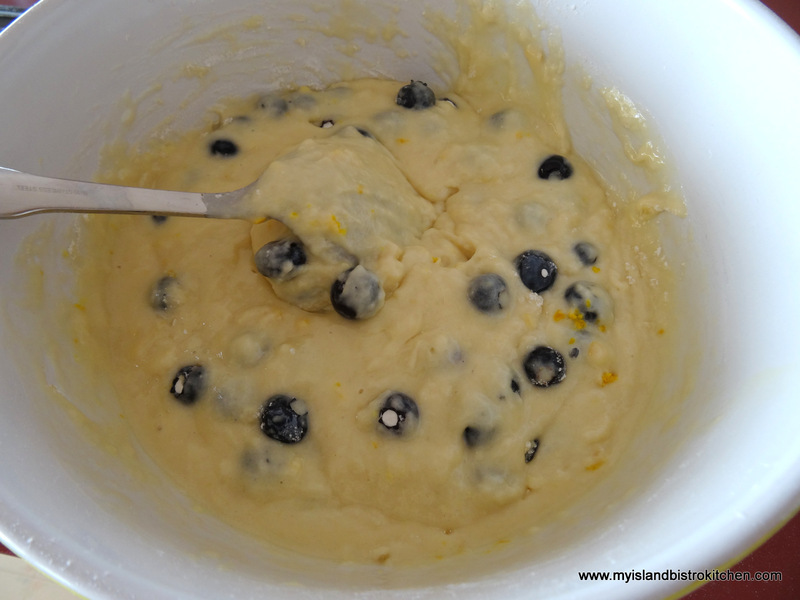 I like the flavor combination of blueberries and orange so I have added some orange juice and finely grated orange rind to the batter. 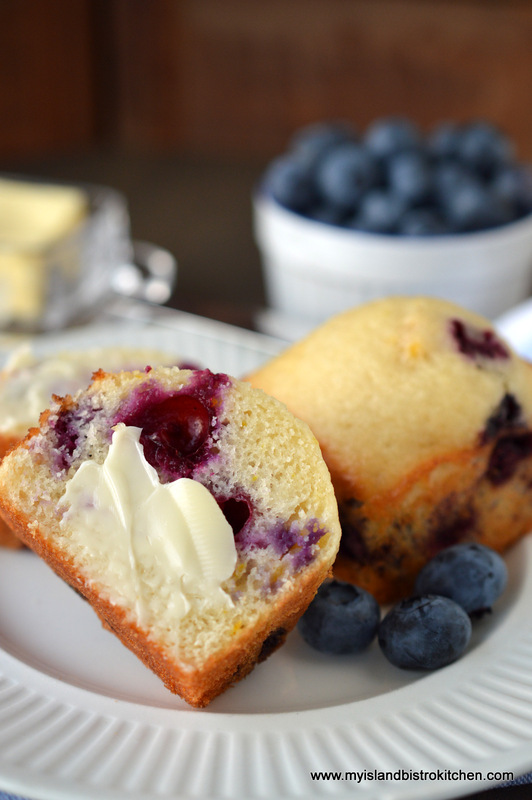 I used my square muffin tins for these muffins but they would be equally as lovely (and just as tasty!) in traditional round muffin tins. I do a lot of batch-baking and freezing of muffins and sweet breads to have them ready for weekday coffeebreaks at work. 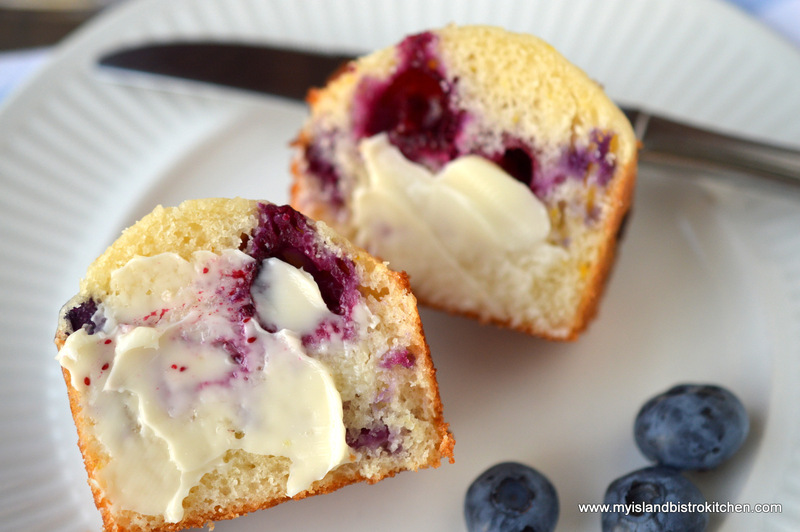 I split and butter the muffins before individually wrapping and storing them in the freezer. The benefit of these square tins is that I find the muffins pack away easier than the round ones do plus they add variety and interest to appearance of the baked goods. 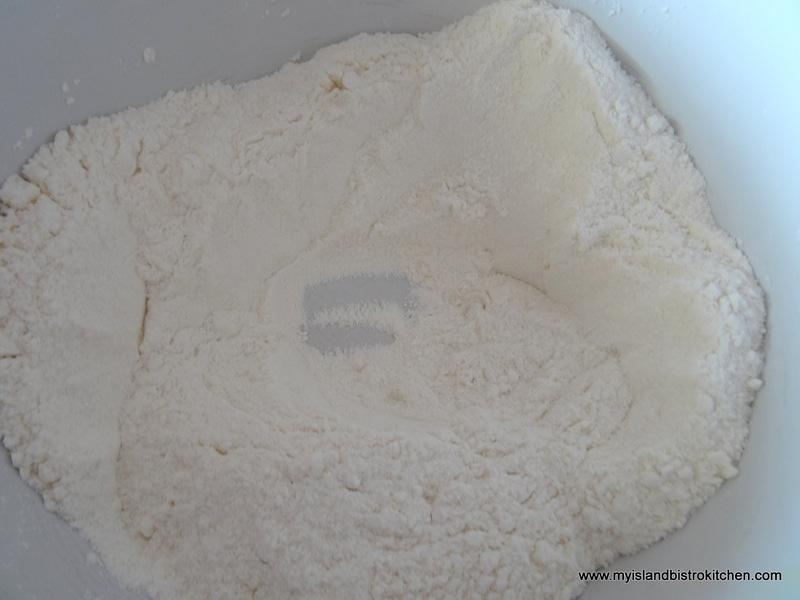 Sift dry ingredients together into a large bowl. 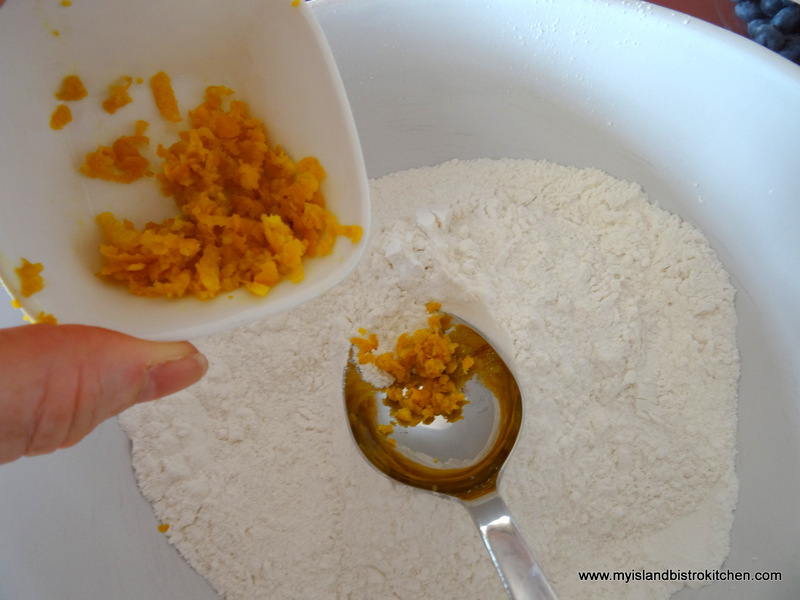 Stir in the grated orange rind. Make a well in the centre of the ingredients. Set bowl aside. 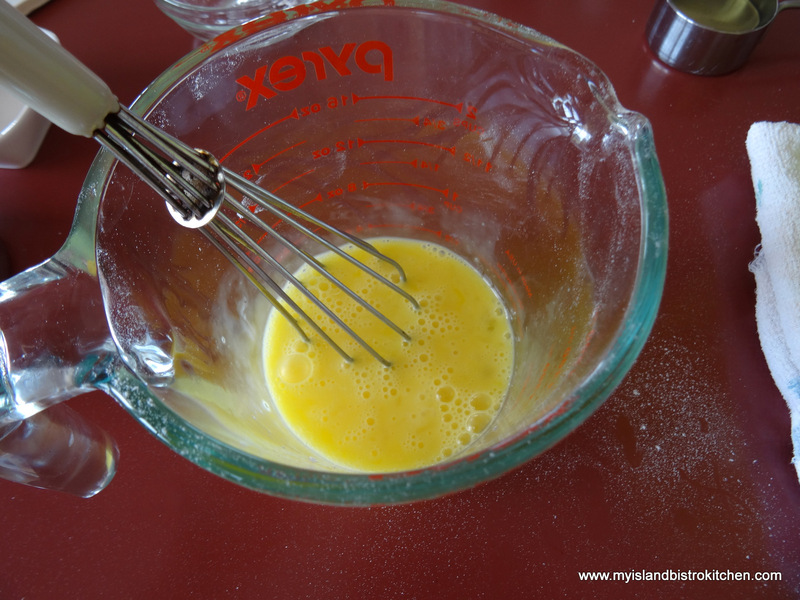 In a two-cup measuring cup or small bowl, beat eggs lightly. 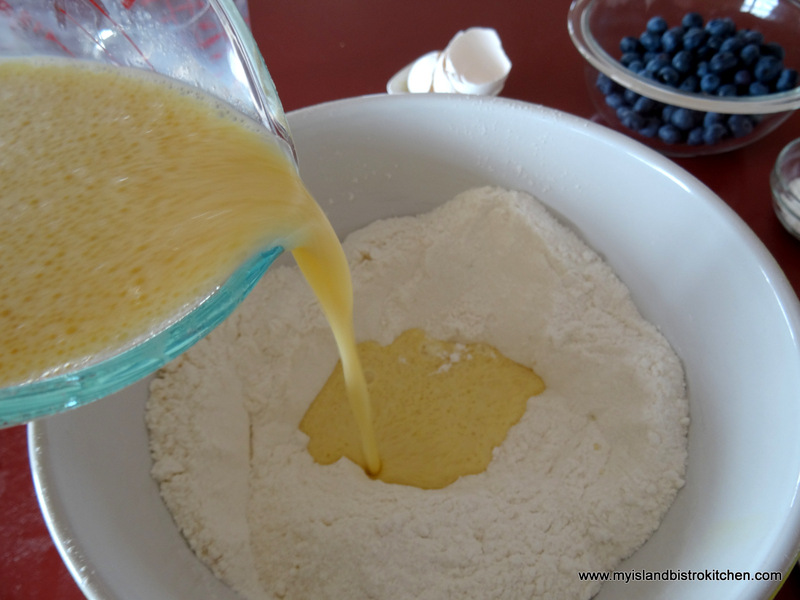 Add milk, orange juice, oil, and vanilla. 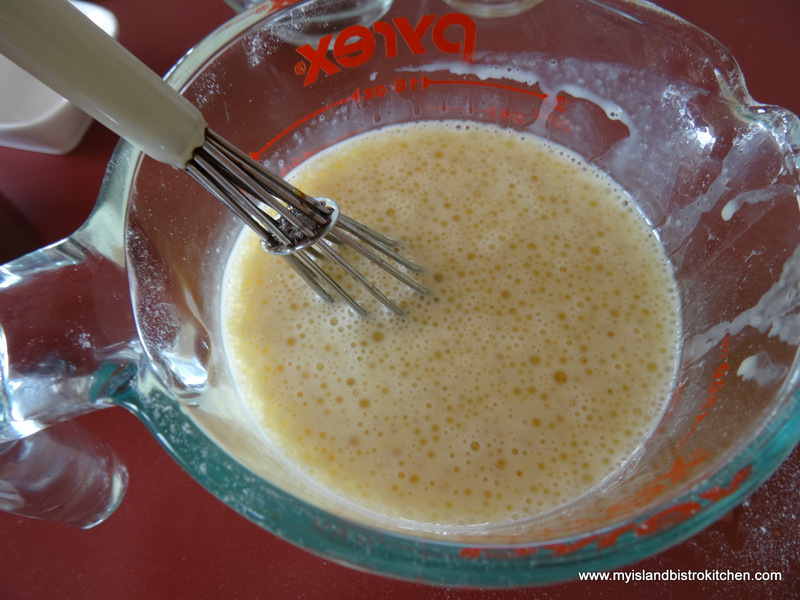 Stir or whisk together well. 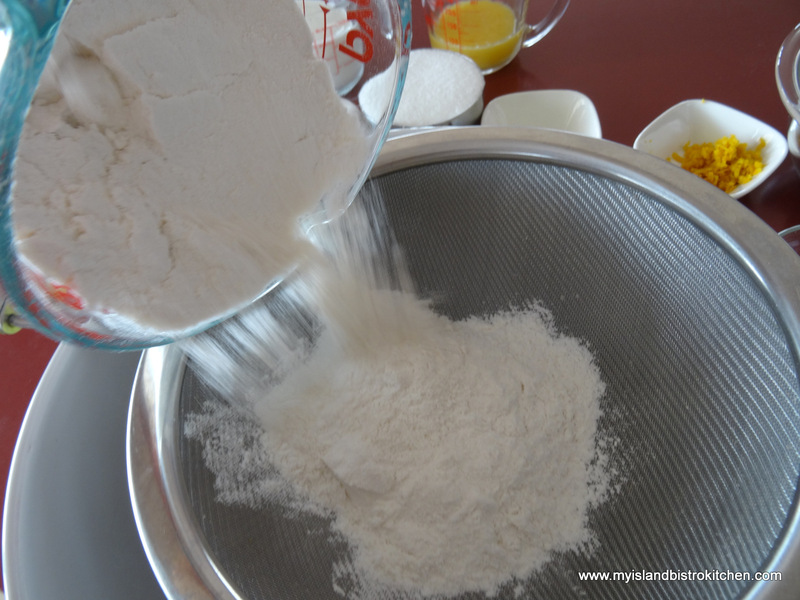 Pour wet ingredients into the well in dry ingredients. Stir just until most of the dry ingredients are incorporated. Do not overmix. 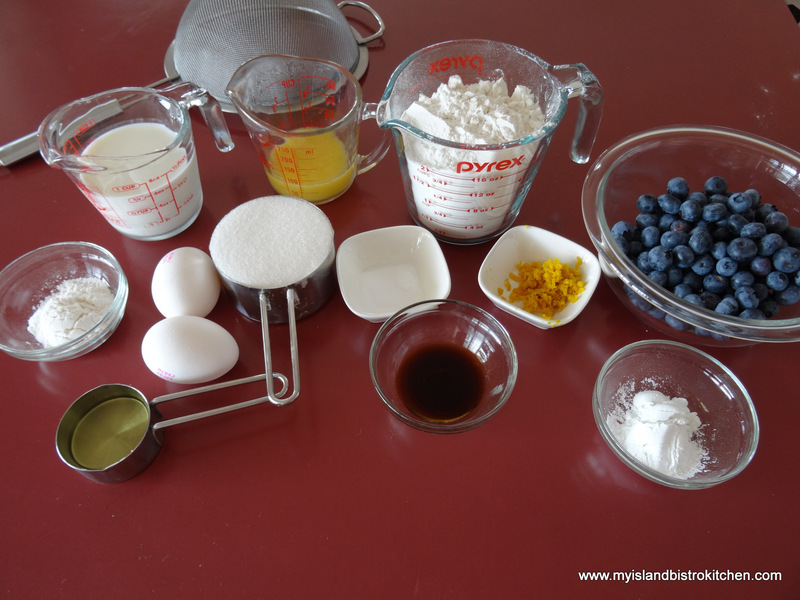 This will create a tough muffin and one that has blue batter! 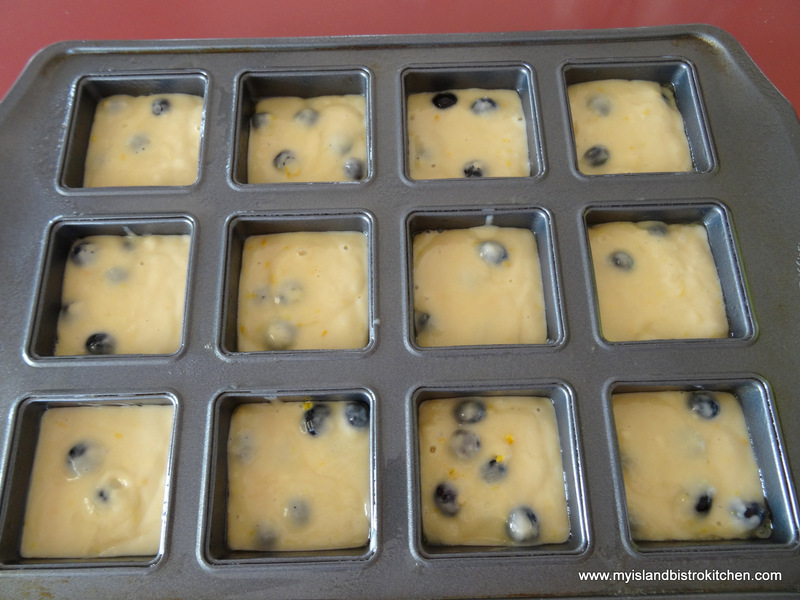 Spoon mixture into greased or paper-lined muffin tins, filling each between ⅔ and ¾ full. Bake 16-20 minutes or until muffins spring back to a light touch and/or a cake tester inserted into center of a muffin comes out clean. 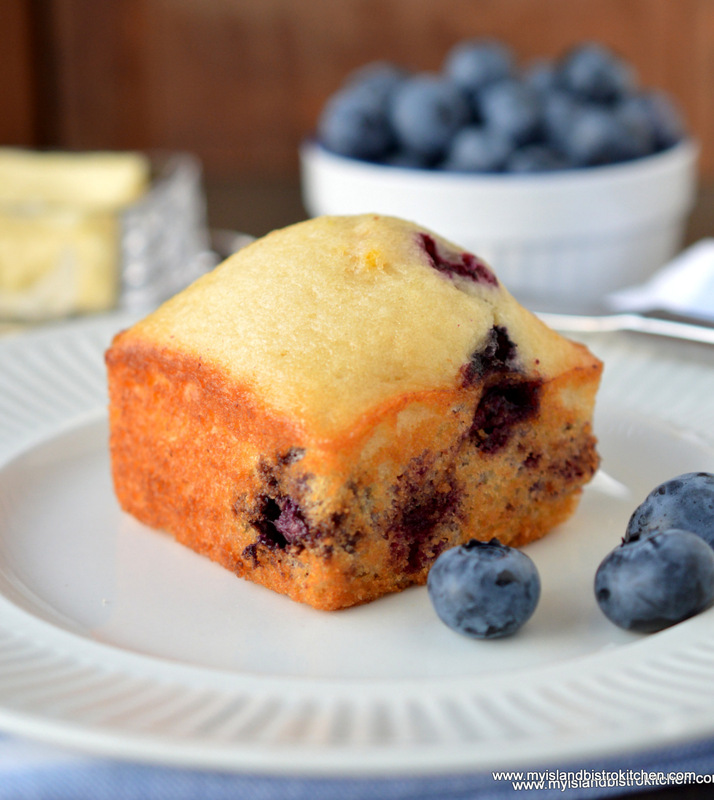 For my gluten-free Blueberry Muffin recipe, click here.